Welcome!! I will start by introducing myself. 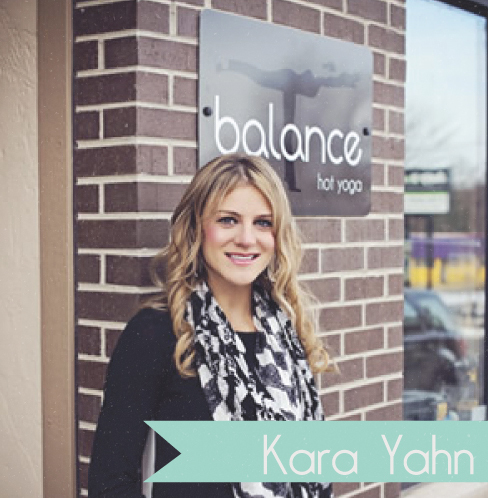 My name is Kara Yahn, 200 Hour Registered Yoga Teacher (RYT) through the Yoga Alliance. I am so excited for all of you to experience physical art known as Yoga. 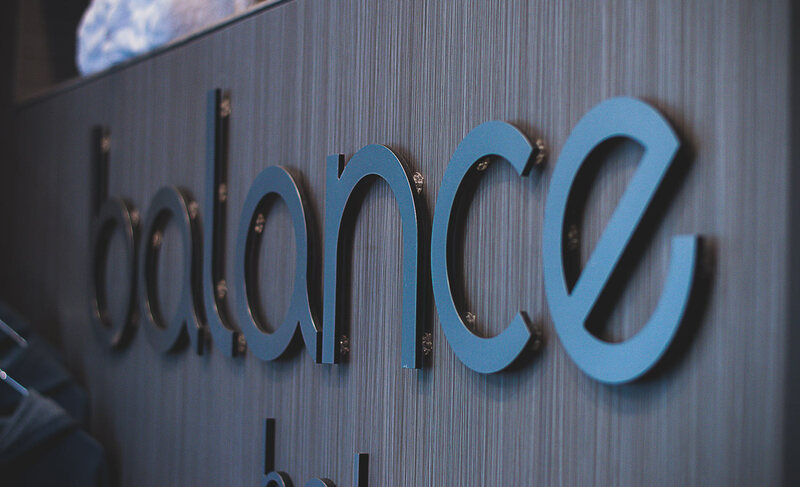 Balance is strategically set up to help you “balance” your lifestyle physically and mentally. Originally from Clinton, Iowa, I came to the beautiful campus of the University of Northern Iowa in the fall of 2003. I was recruited by the UNI Track and Field team as a hurdler/sprinter and I chose to major in Worksite Health Promotion. My 5 years at UNI were some of the best ever. School was wonderful and I had a lot of success in track and field, but not near as much as my fiancé Tyler Mulder. Tyler signed a Nike contract with Oregon Track Club Elite, which took us to Eugene, Oregon. While living in Eugene, I managed a weight loss company called Metabolic Research Center. Helping people achieve their health and fitness goals has always brought such joy to my life. One year into my residency in Eugene, I encountered hot yoga. I LOVE the heat and love to sweat so when I heard about this I knew I had to check it out. The studio I went to, Zen Spot, welcomed me with open arms, and I absolutely fell in LOVE. Hot yoga was something I had never heard of in the Midwest so my mind started turning. I immediately thought about what I could do to bring this love of mine back to Iowa. I practiced yoga, intensely for 2 years before getting my certification through Zen Spot. Throughout the process I had been in contact with a dear friend of mine and fellow UNI track alum Brent Dahlstrom about this “hot yoga.” He and I decided it would be a great fit for Cedar Falls and UNI. Together we created a beautiful, welcoming studio right next to UNI’s campus on College Hill. My goal for this studio is to challenge practitioners to take a chance and see what Balance has to offer. My staff and I are so excited to enhance your yoga practice. Please contact me with any questions by phone at 319-768-7234 or email at info@balancehotyoga.com. I grew up in Cedar Falls, and then moved to Colorado to attend Colorado State University. During my summers, I traveled to Bozeman, Montana and that is where I took my first yoga class and fell in love with the practice. I graduated from CSU with a Public Relations degree and a love for the mountains, outdoors and healthy living. I moved back to Cedar Falls to be close to my family and ended up meeting my husband, getting married and being blessed with two kids who absolutely make my world go around. Eventually, my husband opened Balance with Kara. I got my 200 hour RYT with Zen Spot when Kara brought the training to Balance. I am very passionate about health and fitness and am excited to continue my journey and spread my passion to others through yoga. Originally from California, I moved to Cedar Falls 15 years ago with my husband and our 3 children. I have a masters degree in mathematics and am a math instructor at UNI. I really enjoy the college-town vibe and energy of Cedar Falls and The (revitalized!) Hill. The first time I ever practiced yoga was in my living room, with a videotape loaded in my VCR! That was over 20 years ago…and I loved it. I have turned to yoga as a support for my physical activites, and emotional well-being ever since. When Balance hosted ZenSpot yoga studio’s teaching training program this past spring I jumped at the opportunity to become a 200-hr RYT. I am thankful for that opportunity and for the opportunity to lead classes at Balance. I have a strong interest in anatomy and breath work, and look forward to continuing my education in both of these areas. I truly believe yoga betters your experience of life physically, mentally and emotionally. And it’s fun! What could be better?! I look forward to sharing many practices with our community. During the summer of 2010, I moved from my home in Cedar Falls to the city of Austin, Texas, where I attended grad school at the University of Texas. With my bath towel and TJ Maxx mat in hand, I ventured into Black Swan Yoga Studio where I struggled to maintain balance and hide my laughter. Struggling with homesickness, past trauma, and the usual stress of grad school, yoga provided an environment of healing – giving me a sense of peace from the inside out, not to mention a pretty intense workout. Fast forward 7 years, and here I am, back in Cedar Falls, certified as a 200 hour RYT, utilizing the healing graces of yoga in my work as a mental health therapist. 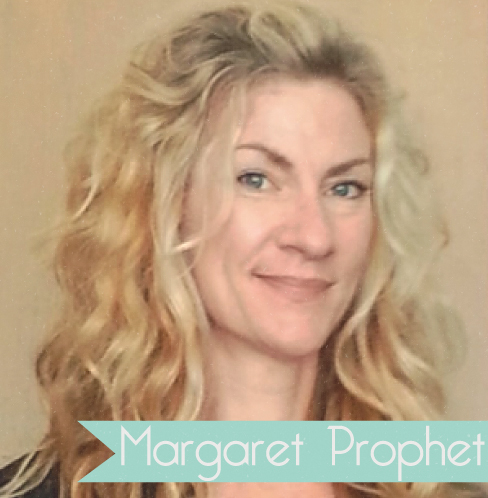 The connection between mind and body is something I find fascinating and a holistic approach to healing is something I try to incorporate in my personal and professional life. I am so thankful for the opportunity to teach at Balance and for the relationships I’ve formed with my fellow yogis. I look forward to meeting more you at one of my classes. Namaste! Welcome, yogis! 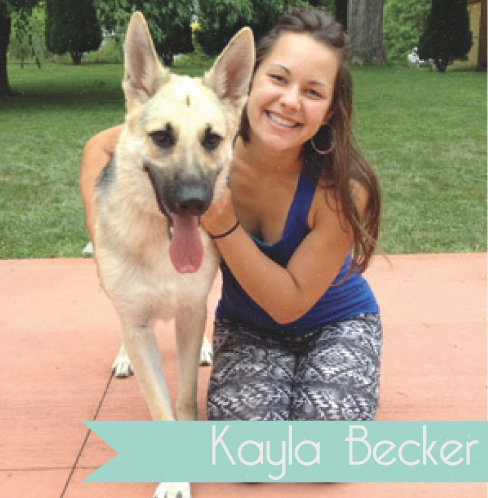 My name is Kayla Becker, and I am a proud graduate of Balance Hot Yoga’s first Teacher Training Program. 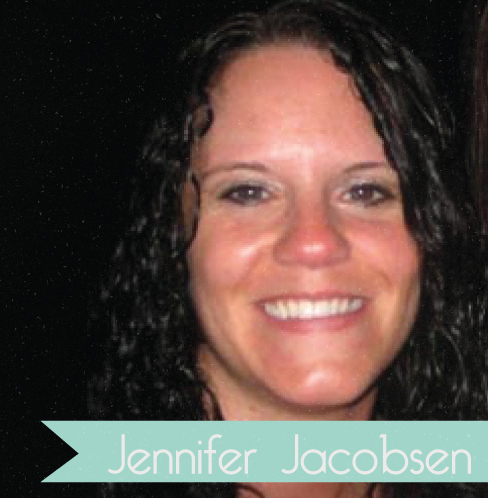 I am originally from Jesup and attended Wartburg College majoring in English, Secondary Education. After Wartburg, life took me to Seoul, South Korea, where I taught ESL to children and adults before moving back to the States. Eventually, I found my way back to the Cedar Valley and am so happy to be home!! Currently, I teach 8th grade language arts at Hoover Middle School in Waterloo. Regarding my love for yoga … that happened quite randomly! A couple of years ago a friend asked if I had ever tried hot yoga. I hadn’t. A week later, another friend mentioned it to me. Being asked about hot yoga twice within a short time frame piqued my interest! I took my first class in June 2013. I practiced off and on before becoming a more committed yogi and eventually signed up for Balance’s Teacher Training Program. Now, I have the pleasure of joining all of you in the studio! I am interested in the various benefits yoga provides individuals, and I hope everyone finds that what they need most during their yoga experiences. I look forward to seeing you all on the mat!! Hi, I’m Jennifer and am proud to say that I am 1 of 15 that completed the first Balance School of Yoga training. I remember trying my first hot yoga experience. I had never tried regular yoga, let alone hot yoga. I fell in love the first time and have never stopped attending. It’s so invigorating afterwards and the benefits are endless. I used to have lower back pain and continuing with yoga in the correct postures, lead to no pain. I just love the ambiance and the feeling of being able to find time for yourself when the world is spinning around in many different directions. I’m so excited to teach and give back to others so they can feel the benefits of yoga! See you on the mat! 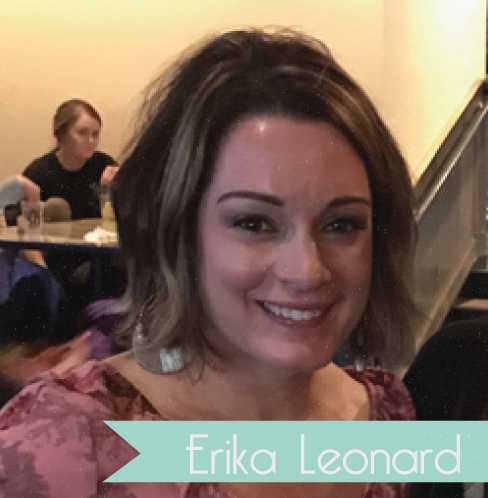 My name is Erika Leonard and I’m so excited to have the opportunity to guide others through yoga! I started attending Balance Hot Yoga not long after it opened and have been practicing since and have really noticed the physical and emotional benefits that yoga offers. When the teacher training program was introduced, I decided to take a chance and add RYT to my resume and credentials! I have been a nurse for ten years and work part time as a certified Cardiac and Pulmonary Rehab nurse and am excited to incorporate teaching yoga to my patients as well. My husband and I have a set of twins, Jonah and Alaina, and they keep us busy and laughing always. I’m a native of Cedar Falls, graduated from UNI and from Allen College and we love calling Cedar Falls our home. I have learned so much about myself through the practice of yoga and through the teacher training program as well; I am so excited to be a part of the studio and guide others to deepen their practice! Namaste! Hello! 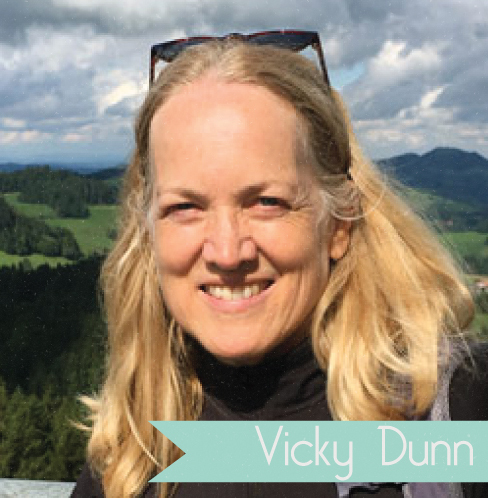 My name is Vicky, and I am a proud graduate of the first Balance School of Hot Yoga Teacher Training Program. Yoga has been a part of my life for over twenty years, taking classes whenever offered in my small hometown in Wisconsin. After spending 20+ years working in my family’s cheese business, I made the decision to attend the French Pastry School in Chicago to obtain my L’Art de la Pâtisserie degree. 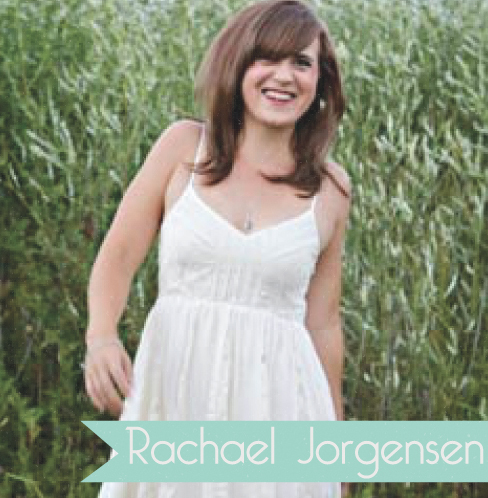 Following my pastry training in 2011, I moved to the Cedar Valley with my husband, David. It was then, that I discovered hot yoga – and my life changed! Having a regular yoga practice has made me a happy and healthy individual. Not only do I feel better physically, but also the mental benefits have been tremendous. In addition to teaching yoga, I teach baking classes at Three Pines Farm. I also love spending time outdoors hiking, biking, and working in my yard. My two adult children, Paul and Caitlin live in Wisconsin. 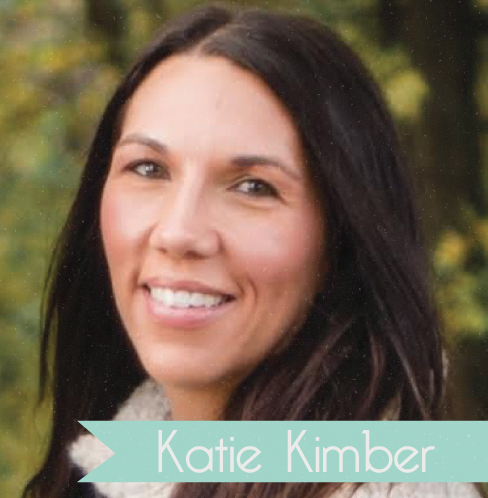 My name is Katie Kimber, I am very proud to be a graduate of the first Balance Hot Yoga Teacher Training Program. Originally from St. Ansgar, Iowa, I made the Cedar Valley my home when I came to the University of Northern Iowa in 2001. 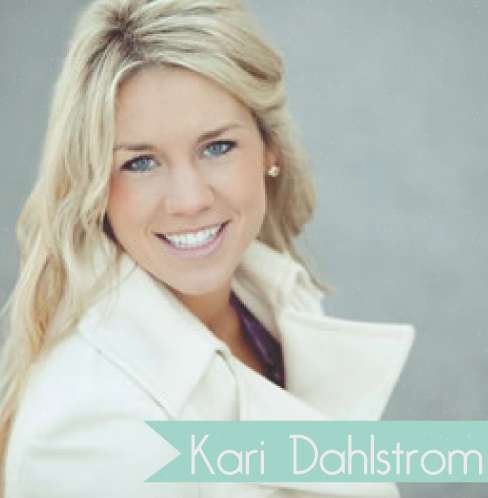 I developed a passion for teaching at a young age and always knew it would be a part of my life. At UNI I majored in Elementary Education and also have masters degrees in Special Education and Educational Leadership. Currently, I work for Waterloo Schools as a Secondary Transition Facilitator. Balance is a second home to me. I started coming to Balance soon after it opened. I was struggling with migraines and looking for help. After attending yoga regularly, I not only found relief from migraines, I felt better mentally and physically. I truly believe that everyone can benefit from practicing yoga. I enjoy creating new flows that are fun, challenging, and accessible to everyone. In my free time I love to travel, my husband and I are always planning our next big trip. One of my favorite things to do on vacation is attend different yoga studios and bring back fresh ideas for my classes. Yoga has changed my life and I so am happy to share the practice with others. See you in the studio! !